After seven years as a bargain-basement beater, Chevrolet will move the Aveo upscale (and may change its name). 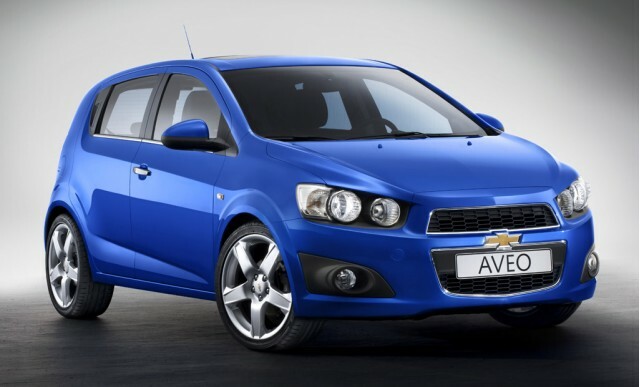 The new Aveo shown at the Paris auto show has aggressive pug-nosed styling and a Cruze-like interior. Instead of a speedometer the new Aveo has a digital instrument cluster reminiscent of a sportbike. The only conventional gauge is a tach. GM announced a myriad of powertrains for the global Aveo, but a 1.6-liter gasoline four mated to a six-speed automatic or manual is the most likely option for America. A sporty RS model with the Cruze's 1.4-liter turbo could appear at some point. You'll have a choice of hatchback or sedan. Perhaps the new Aveo's most unique feature is that GM will build it in Michigan with UAW workers. GM expects the factory to be online by summer 2011 with vehicles rolling out to customers by fall. While some B-cars are relatively new to the US market, the Hyundai Accent (originally known as Excel) has been duking it out for entry-level customers for more than two decades. The Accent got twinned with the Kia Rio for 2005. Already in production in Russia and China, the new new Accent looks like a Sonata with Ford Fiesta proportions. The only body style in production for now is a sedan, but spy photographers have also caught a five-door hatchback. Hyundai is not talking about U.S. specifications for the Accent but the versions out now offer 1.4- and 1.6-liter engines and four-speed automatic or five-speed manual transmissions. A six-speed automatic may be necessary to keep up with the competition. 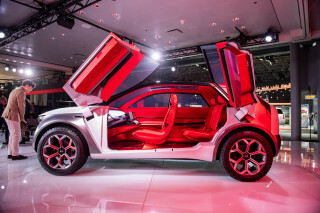 Expect to see the U.S.-bound Accent debut at the Chicago Auto Show and go on sale by summer. Spy photos of the upcoming Kia Rio show that it shares the Accent's body structure but with unique sheetmetal and trim to give it the new Kia family look. Expect most of what goes for the Hyundai Accent to apply to it as well. 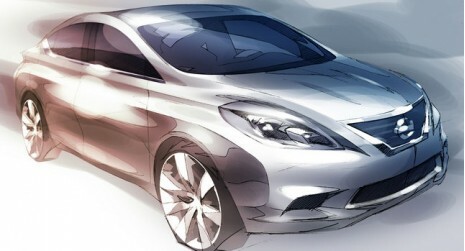 Nissan recently posted a sketch of the upcoming Versa with no other details. 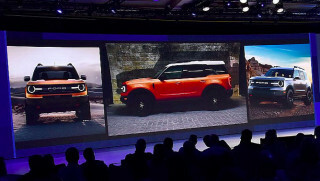 It's probably a hint that they plan to reveal the car at one of the winter auto shows. The car in the sketch is a sleek and swoopy sedan, a complete departure from the boxy sedan and hatchback of today. The current Versa's high points include roominess, low price, and an available CVT. Hopefully, the new Versa will continue all those attributes in a more stylish package. Leaked photos of the new Yaris are all over the Internet showing a tall-bodied five-door hatchback with sharply creased sheetmetal and gauges that sit directly in front of the driver and not in the middle of the dash. Unfortunately, the leaks don't say anything about powertrains or other specs. A Yaris concept could show up at the Detroit Auto Show and the regular version will probably be unveiled before the Geneva Show. The Yaris could also be the basis for a small Prius-branded vehicle. A rising yen makes the Japanese-sourced Yaris much less profitable for Toyota, so they might eventually consider sourcing the U.S. Yaris from a different country.